Here I am writing this on Sunday while I complete the online shop at the same time! Works beautifully for me although I do sort of object to the delivery fee, but £3.50 has got to be worth the time it saves! I've checked my freezer which is full to bursting, so don't think we'll be trying anything new this week. Just old favourites to use up what's in there! I managed to lose a pound this week on Slimming World, despite a very off plan lunch for Amy's graduation, which I thoroughly enjoyed. Plus I won't mention the KFC I had on Friday, because that was after weigh in so won't count until next week! I think its a rounded menu, with a bit of everything, plus its easy to cook and no excuse for cheating! 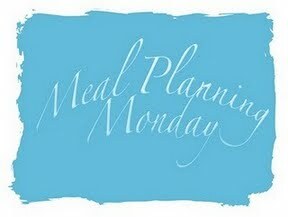 Don't forget to get yourself over to At Home With Mrs M to check out and get some inspiration from other menu planners. Reasons to be cheerful - Birthday week!